Interfaith dating always presents challenges, and Judaism is a notoriously close-knit religion that traditionally forbids interfaith marriages. For example, Deuteronomy 7:3-4 warns "Do not intermarry with them...they will turn your children away from following me to serve other gods." But what if you're crushing on your cute Jewish coworker -- and you know the feeling is mutual? Communicating effectively and being aware of cultural differences will increase your chances of building a successful relationship with a Jewish man. Ask -- either the man or a mutual acquaintance -- which type or movement of Judaism the man belongs to, and research the basic beliefs and practices of that movement. 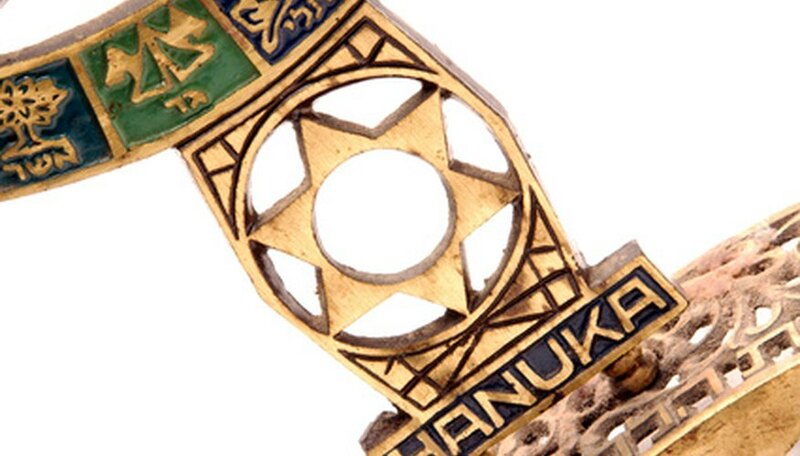 Reform, Conservative and Orthodox represent the three main movements in American Judaism. Don't worry about all the details yet; you just want to orient yourself with the basics. Get to know him as a person, not just as a Jew. Display sensitivity to his religious practices: Schedule dates on Saturday nights instead of Friday nights if he observes Shabbat, or suggest kosher-friendly restaurants if he observes kashrut. Don't obsess over his practices; you need to know whether you two connect as a couple before you delve deeper into his faith. Consider what you're looking for in the relationship. Do you just want a casual companion, or are you seeking commitment and marriage? If you're having fun with your man and don't want a lifelong commitment, you might not need to get deeper into his beliefs. If you think he's the one, it's time for a talk. Discuss your partner's faith with him. Ask him what he believes, how it informs his life and whether he would be willing to marry or commit to a non-Jew. Ask how he expects his family and community to respond to you. This conversation doesn't necessarily have to determine how you would bring up your children, whether you would convert or other serious issues, but you want an idea of what Judaism means to his life -- and what you mean to him. Find ways you can be spiritual together. You might have to get a little creative, but chances are you agree with many of Judaism's tenets, even as a non-Jew. Consider volunteering at a soup kitchen or animal shelter, getting up early to watch the sunrise or reading poetry to each other. Richards, Rebekah. "How to Date a Jewish Man." Dating Tips - Match.com, https://datingtips.match.com/date-jewish-man-8200568.html. Accessed 19 April 2019.